Where and how should a community grow? Where should a city build sidewalks and trails to lower the risk of accidents and encourage walking? How far do residents have to walk or drive to reach a public park? These are the types of questions that urban planners can answer using smart planning tools and techniques, a hot topic at Esri's 2017 Geodesign Summit. Read the article. With Esri technology, you can visualize land use in 3D for a city such as Boulder, Colorado. If you are a story map novice who wants to use an immersive storytelling style and design, this tip on how to build an Esri Story Map Cascade app is for you. Read the tip. The National Trust for Historic Preservation created an Esri Story Map Journal app called Telling Music Row's Story, which chronicles the history, building demolitions, and new development in this unique district in Nashville, Tennessee. Read the article. The Living Atlas of the World sports a bold, new look and capabilities, making it easier to browse and contribute content such as maps, layers, scenes, apps, and tools. Read the article and see the website's makeover. Esri Story Maps apps have many not-so-obvious uses. You can use the apps to promote events, deliver information such as weather reports, support causes close to your heart, or even issue wedding invitations. Read the blog. Binders filled with maps have been replaced by Esri ArcGIS Online at the Department of Public Utilities in Salt Lake City, Utah. Find out how the staff can retrieve the latest water, sewer, and streetlight information and save time using Web GIS. Watch the video. In ArcGIS Pro 1.4, you can create custom travel modes for maps in your Navigator for ArcGIS apps. For example, you can customize travel modes to help steer your fieldworkers away from highways with low bridges or gravel roads. Learn more. Join Helen Thompson from Esri for a one-hour seminar on how to best use Esri Story Maps apps in the real estate industry. Creating property flyers and virtual property tours are just two examples. Watch the video. Esri product engineers Jim Herries, Lisa Berry, Jennifer Bell, and Tamara Grant show how smart mapping capabilities can be used with Living Atlas of the World content. Watch the online webinar. Esri technology evangelist Bern Szukalski offers this great shortcut on how to quickly share maps using the app templates in ArcGIS Online. The process only takes seconds! Read his blog. 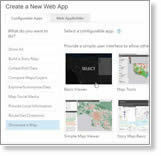 Esri Labs developed Tile Package Kreator, available for free at ArcGIS Marketplace, for use with Esri's mobile apps such as Collector for ArcGIS and Survey123 for ArcGIS. Read the blog. Find Tile Package Kreator at ArcGIS Marketplace. You can now find all your commonly used raster tools in one location—the new imagery tab in ArcGIS Pro 1.4. Read the blog. Learn how to put spatial data analysis techniques and tools to work during Esri's free massive open online course (MOOC) called Going Places with Spatial Analysis. The course will be offered from April 12 to May 23, 2017. Sign up for the MOOC. Esri has introduced a sample vector basemap built to support maps that contain information on human geography including demographic and statistical data. Read the blog. In this Learn ArcGIS lesson, you will use the Esri Business Analyst Web App to create market profile reports that will help you decide whether downtown Des Moines, Iowa, is a good location for an upscale movie theater. Take the lesson. Esri offers ArcGIS Enterprise and ArcGIS Desktop bundled with Dell hardware that can complement or be used to upgrade your existing GIS infrastructure. Order today. Where does Domino's Pizza dominate? Where does Burger King reign supreme? Esri mapped the locations of the top 10 restaurant chains in the United States. 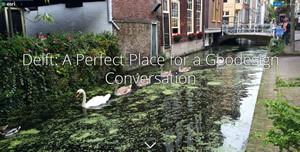 View the Esri Story Maps app. Find out how you can use location analytics to better understand customers, markets, and business processes by taking the free MOOC, The Location Advantage. The course will run from April 12 to May 23, 2017. Register today.